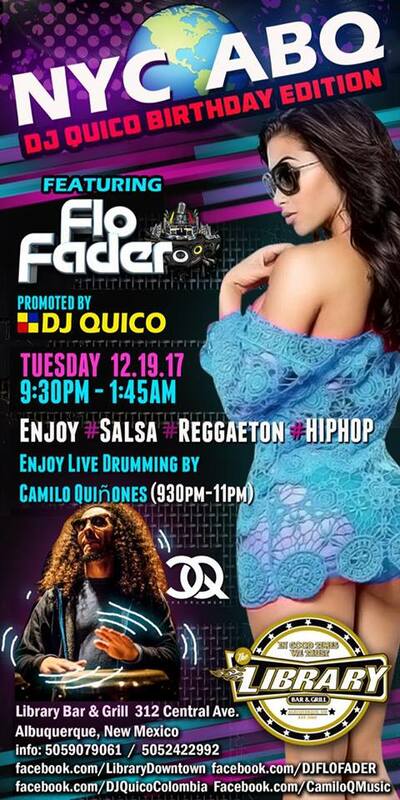 Come celebrate DJ Quico’s Birthday and party all night long on Tuesday 12/19/17. We’ll have live drumming by Camilo Quinones from 9:30-11pm. Then we’ll have guest DJ Flo Fader in the mix dropping the hottest music from NYC to ABQ.